A cool, sweet, refreshing Chocolate Peanut Butter Banana Smoothie recipe that is also healthy! Now how great is that?! There’s something about an ice cold smoothie that makes me feel indulgent! 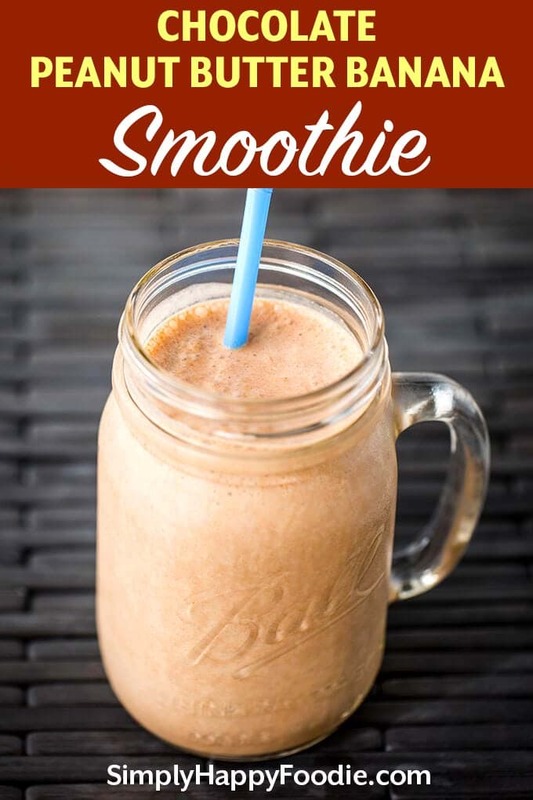 There are so many kids of smoothies you can make, but I love to make this Chocolate Peanut Butter Banana Smoothie. Sometimes I leave out the chocolate, but then I drink it and wonder what made me do such a silly thing! The chocolate-peanut butter combo is always a winner in my book! I like to use raw cacao powder for my chocolate based smoothies. It is a natural and healthy ingredient, though I’m no health expert. I also like to put raw cacao powder in vanilla ice cream! For some unknown reason, I buy bunches of bananas and we keep ending up with too many overripe ones. No worries, I just peel them and pop them in a zipper baggie in the freezer. I use frozen bananas in many of my smoothie recipes, so that is handy! I promise I’m not ignoring those bananas on purpose! Summer is still churning out the heat here in the Pacific Northwest. Today it is a toasty 83 degrees (that’s toasty for us!). 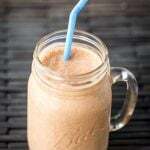 I’m not complaining, the house is staying nice and cool, and I’m sipping my Chocolate Peanut Butter Banana Smoothie! 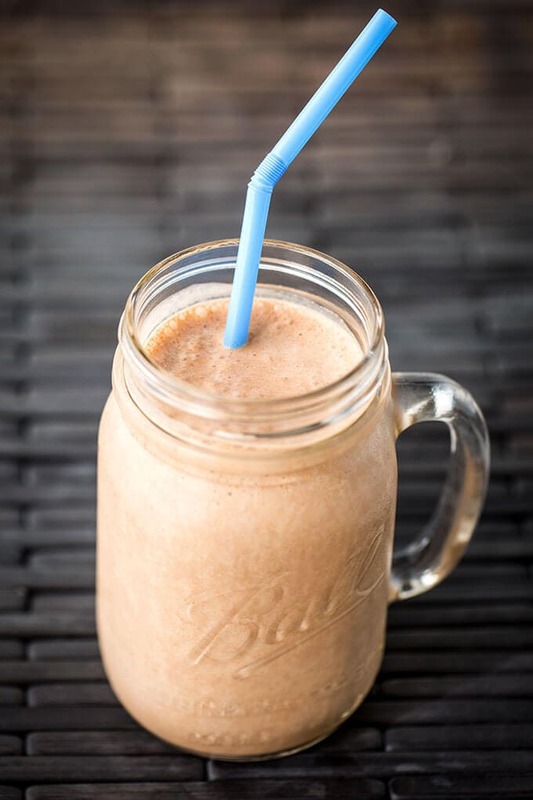 This Chocolate Peanut Butter Banana Smoothie is made from healthy ingredients like natural peanut butter and raw cacao powder. Indulge without the guilt! Add another 1/2 cup of ice cubes if not cold enough for you, and blend until smooth again.